To reinstate its commitment towards the Government’s Digital India vision during the ‘Digital India Week’, Intel launched the Digital Wellness Online Challenge in collaboration with National e-Governance Division* (NeGD) on July 1st, 2015. This online quiz is aimed at sensitizing and creating a culture of digital wellness amongst children from classes 6 to 12 by promoting awareness on the benefits as well as the potential threats of Internet-based interactions and familiarizing students with different types of cyber threats, consequences and protective measures. The online quiz is available in Hindi and English. On successful completion of the quiz, the students will be given an option to print/email their electronic certificates. Four winners per state will be declared as ‘Digital Wellness Champions’. These winners will be invited to New Delhi by the Department of Electronics and Information Technology (DeitY)* and will be felicitated by the government in an award ceremony. Intel has always believed that technology has the ability to drive inclusive growth by enabling access to education, healthcare and government services and that digital literacy is the first step in empowering citizens to take advantage of these services. It was with this belief that Intel launched the National Digital Literacy Mission in 2012 along with NASSCOM* and DeitY. The Program has now been taken over by DeitY to drive mass scale digital literacy in India. In line with its commitment to the Digital India vision, Intel had recently announced the Intel and DST “Innovate for Digital India Challenge”, which focuses on the creation of products to increase technology adoption in India that will eventually result in the creation of a local technology ecosystem. The Challenge was designed in collaboration with the Department of Science and Technology* (DST), with support from the DeitY*, MyGov.in* and is being managed by IIM Ahmedabad’s Centre for Innovation Incubation and Entrepreneurship*(CIIE). The entries for the Challenge were closed amidst tremendous enthusiasm and encouragement that translated into 1913 entries by the last day on 28th June 2015. A jury is currently going through all the applications to shortlist the top 50 teams that will get a chance to present their ideas. These will then be shortlisted to the top 20 who will enter the accelerator phase# where they will be mentored extensively to get their ideas from ‘mind to market’. Intel has been closely working with the ecosystem to help push inclusive growth and increase the domestic technology adoption across the three vision areas of Digital India namely (i) digital infrastructure as utility to citizens, (ii) governance and services on demand and (iii) digital empowerment of citizens. 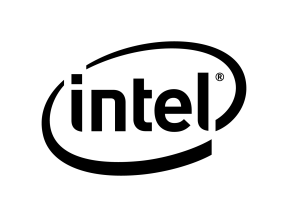 For several years now, Intel has been powering critical back-end infrastructure from Data Centres to High Performance Computing to enable seamless execution of critical utilities for citizens. For example, India’s National Stock Exchange* leverages the Intel® Xeon® processor E5-2600 v2 product family, delivering 1.55 times higher throughput to provide a world-class trading experience to Indian citizens and contributing to a vibrant economy. Intel India with a strong focus on innovation and community volunteerism encourages employees to utilize their talent and creativity to come up with solutions that help address big community problems for India. An example of this is the Swachh Map* App that is developed by two Intel India employees (Vijay Kumar & Arpit Goyal), Swachh Map is an Android*-based crowdsourcing app that empowers any citizen to contribute towards better waste management solutions, efficient utilization of resources and garbage pickups. Understanding the importance of digital empowerment and its relevance in achieve the overall vision of Digital India, Intel also worked with the NASSCOM Foundation* to train over 10,000 citizens with digital literacy skills during the ‘Digital India Week’. Artificial Intelligence Leaders From Silicon Valley And Bangalore Launch Noodle.ai In India.